Says Jim O'Donnell, president of BMW North America: "If you look at the NADA survey, you'll find we're pariahs." In the past few years, BMW has cut its dealer margin, slashed warranty labor reimbursement, made the bonus margin harder to earn, and changed programs with little communication, dealers say. And that has made them mad enough to continually downgrade BMW in NADA's Dealer Attitude Survey. It has also put BMW executives on red alert, eager to heal strained relations with their U.S. dealers. The survey, conducted twice yearly by the National Automobile Dealers Association, measures dealers' satisfaction with their manufacturer's policies, field and headquarters staff, and franchise value. "If you look at the NADA survey, you'll find we're pariahs," said Jim O'Donnell, president of BMW of North America. "We are scoring badly in that study. It is beyond comprehension." Profit margins for BMW dealers surpass the industry average, but O'Donnell said: "We obviously don't communicate our relationship well enough." He added: "I am taking responsibility for that, and we'll work on that this year. We need to make the dealers feel that we value them." In the association's winter dealer attitude survey conducted early this year, BMW ranked No. 18 among 34 brands -- down from 13th in the 2009 winter survey, seventh a year earlier and fifth the year before that. About 40 percent of BMW's dealers participated in the latest survey. Dealers say the main problem has been factory program changes that have cut have into their profits. But they say the situation has been made worse by poor communications. "They look at their expenses and transfer from our bottom line to their bottom line," said George Sharpe, owner of Sharpe BMW in Grand Rapids, Mich. "They are always measuring return on investment." Sharpe says BMW has drained dealer profits with a series of changes, including a 1 point cut in the base margin to 8 percent. Nick Toomey, general manager of Rallye BMW in Westbury, N.Y., says BMW triggered dealers' anger in late 2008 by cutting the warranty labor reimbursement by 20 percent. "That set the groundwork," he said. "The BMW dealer body has made a huge investment in facility. Every one of us has taken on a great deal of risk. We recognize the parent company has to be profitable, but some of the modifications to existing programs have been penny-wise and dollar-foolish." Dealers are also still smarting from a radical change last year in their 5 percent bonus margin, or added value premium, as BMW calls it. Dealers previously got 5 percent of the base price of cars they sold "with no conditions attached," says Peter Miles, BMW executive vice president of operations. Starting in January 2009, BMW tied 2 percent of the bonus to each dealer's used BMW and certified pre-owned car sales goals. Dealers had to earn the remaining 3 percent by meeting new customer satisfaction targets. BMW set the targets because management was dismayed at the brand's failure to score top customer satisfaction ratings in major surveys. Miles says BMW added the used-car provision because it expected a record number of cars to come off lease. Executives didn't want the 100,000-plus vehicles going to auction and lowering residuals. "Our strategy was to push as much of the BMW product through the dealer network as we could," he said. Miles said bonus payouts to dealers have been nearly the same after the change in the system. The changes began after a new management team headed by O'Donnell took control of BMW of North America in mid-2008, following the retirement of longtime CEO Tom Purves. 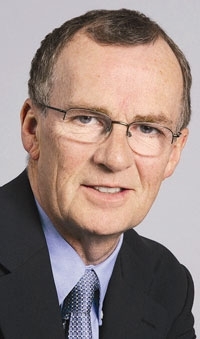 O'Donnell shuffled top management, appointing Miles -- former head of Rolls-Royce in North America. He also reorganized BMW's sales regions and personnel -- the direct interface with dealers. The changes came fast and often with little communication or discussion, say both dealers and BMW executives. John Mantione, vice president of Fields BMW in Winter Park, Fla., says not only did BMW make changes without explanations, it also "made some decisions in February and March of 2009 and backdated them to January." Said BMW's Miles: "It didn't take the attitude survey to make us sensitive to [dealer criticism] because we were hearing it. But the attitude surveys confirmed that we left our dealers behind." In the NADA survey, he says, BMW also scored poorly in the value of the franchise as perceived by dealers -- a category in which BMW had been in the top five in prior years. Miles says he isn't surprised about that. "It is attitude, so it is everything," he said. BMW says its dealers had a 2.5 percent return on sales in 2009, nearly the same as in 2008. According to NADA, the average dealer return last year was 1.7 percent. Miles says dealers also complained about "a lack of transparency," in programs they funded -- such as dealership personnel training -- but that BMW administered. Dealers pay for the training programs on an undisclosed per-vehicle basis. The money provides for special tools and equipment and training sessions at BMW headquarters in Woodcliff Lake, N.J.
"That fund had a lot of money when we were selling 300,000 cars a year," Miles said. "But sales were shrinking, and so was the fund's ability to pay everything it had to cover. The dealers were suspicious of what we were doing, and our communication was not as timely as it needed to be in that rapid time of change." NADA does not release dealer attitude survey details, but Miles says that in the latest survey, ratings in the areas of financial services, parts and field contact were flat -- not declining. Dealers continue to downgrade BMW in NADA's dealer attitude surveys. Here are BMW's recent rankings out of 34 brands. Dealers also complain that they did not understand BMW's strategies. Miles says he decided in mid-2009 that his staff needed to hit the road and talk to dealers at regional meetings. BMW is now holding town hall-style meetings every six months. The brand's training program was also changed. Dealers no longer have to fly employees to BMW headquarters. Instead, BMW sends a training team to all but the smallest stores, Miles says. "It is more convenient and it actually costs less," he said. "It's not as exotic, with less wining and dining." Miles also says that dealer subcommittees that work with BMW on topics ranging from product to financial services weren't communicating with the rest of the dealer body. "They were working in silos, and we've broken them down," he said, by including more dealers. Miles now communicates regularly with dealers via e-mail. A new blog for dealership employees -- not the dealer/owners -- discusses such tactical issues as whether a loyalty program is working or lead management training is improving results. Whether the new measures will change dealer attitudes won't be clear until NADA conducts its Summer 2010 study. Miles hopes for the best. "My feeling is we are at the bottom."